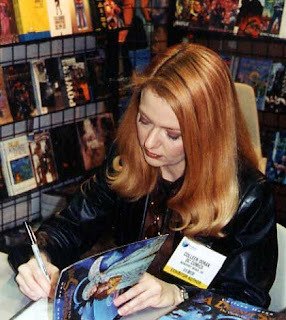 Sorry folks a few new interviews got lost in a hard drive mishap, so enjoy this June 2005 interview with the great fantasy artist Colleen doran, who's work on A Distatnt Soil , The Book Of Fate, Orbiter and other comic books continues to amaze readers. Colleen discusses her colaborations with Mike Carey J Michael Straczynski, and Warren Ellis. She also discusses her approach in drawing Japanese style manga projects. This was one of the first wordballoon episodes, Has my voice changed much?